Will upper caste quota worsen the social profile of govt and teaching jobs? The government is still discussing the issue of angel tax, officials at the Department of Industrial Policy and Promotion (DIPP) said. Their comment comes amid media reports that the government is considering legal provisions shielding startups from angel tax and easier exemption terms for investors. The government had earlier notified there will be no coercive action against start-ups to recover tax in accordance with the tax department's assessment until a committee of experts resolves the issue of their recognition and delves into the tax incidence in individual cases. The decision was taken at a high-level meeting of Revenue Secretary Ajay Bhushan Pandey, DIPP Secretary Ramesh Abhishek, and CBDT Chairman Sushil Chandra. It was decided the DIPP would set up the committee with experts from the Indian Institutes of Technology (IITs) and the Indian Institutes of Management (IIMs) to look into the eligibility of tax exemptions to these start-ups. The notification of the committee formation would be issued by the DIPP within a week, the CBDT said in a statement. "The CBDT recognises that start-ups are going to bring a lot of innovation to the country and, therefore, have to be supported in every possible manner," it said. However, the income-tax (I-T) department is unlikely to withdraw the scrutiny notices issued to start-ups till now. An I-T source said while there would be no coercive action, the scrutiny would continue in a regular manner. According to a government official, notices were issued to those start-ups that have been unable to explain the rationale of high share premium received from the issuance of new shares in unlisted firms. In some cases, the cash flow of these start-ups was low or nil, in which case, the excess amount over fair value is taxable. "It has been decided that the issue of recognition of these start-ups, including the issue of premium, among others, will be decided on the basis of recommendations of the committee," the CBDT said. Currently, an eight-member inter-ministerial board (IMB) looks into the matter of recognition of start-ups according to DIPP norms, investments by high net-worth individuals into them, and their eligibility for tax breaks. "The new committee will act as an advisory panel over and above the IMB, but changes in norms for being a start-up are not expected to change,"a senior official said. The recent notices were issued under Section 56 of the I-T Act, which provides that where a closely held company issues shares at a price more than its fair market value, the company is liable to pay tax at the rate of 30.9 per cent on the amount received in excess of the fair market value as income from other sources. Tax notices sent out to companies have been widely criticised by the start-up industry and angel investors, calling them an anti-investment move. 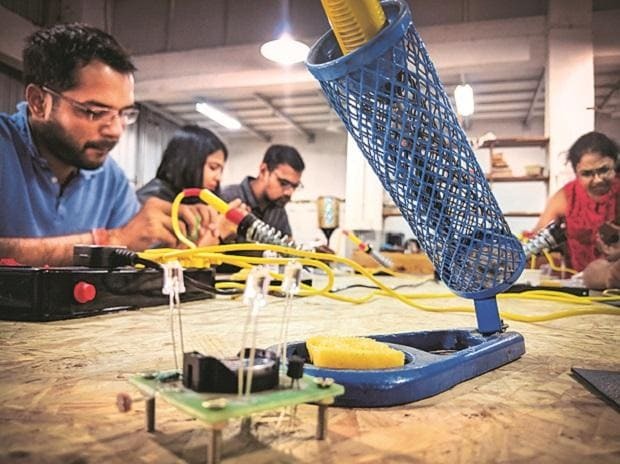 In April, the government gave certain exemptions to start-ups by allowing them to avail tax concessions if total investment, including funding from angel investors, does not exceed Rs 100 million. Over 14,000 start-ups have registered with the DIPP under this scheme. However, only two start-ups have got angel tax exemption since the revision of investment norms from April 2018. The CBDT is expected to come out with a circular to clarify the issues. According to a notification, an angel investor picking up a stake in a start-up should have a minimum net worth of Rs 2 crore or should have an average returned income of over Rs 2.5 crore in the preceding three financial years.